The annual Mountain View Street Fair will look — and sound — a little different this year. The community event will feature a live broadcast by KFAT 92.9, according to street fair organizers, and last year’s stage will be replaced by a more fluid layout. Entertainment and activity booths will be interspersed with food vendors, business and informational booths, said staff for Rep. Geran Tarr. Tarr’s office is working to organize this year’s street fair alongside the Anchorage Community Land Trust, Cook Inlet Tribal Council, Bean’s Cafe and Children’s Lunchbox, Credit Union 1 and the Alaska Housing Finance Corporation, staff said. The yearly fair is intended to introduce people to local businesses and services, according to the representative’s office. 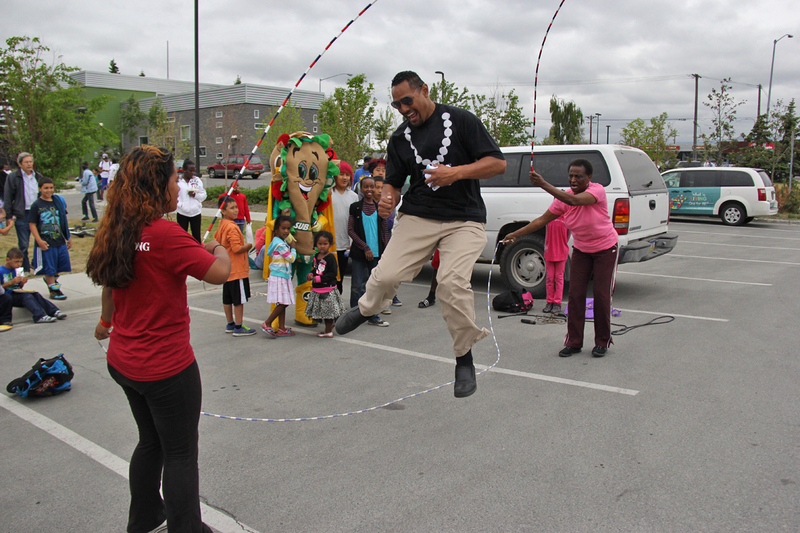 Last year, the street fair featured dozens of vendors, cheap food, games, a car show and performances by local musicians and dancers with Ma’o Tosi’s AK Pride. Tarr’s office said this year’s program has not yet been finalized. The street fair is set to take place June 28 from noon until 4 p.m. at Clark Middle School.